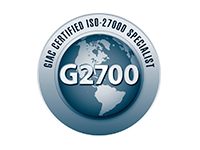 Your PCI compliance North Star. 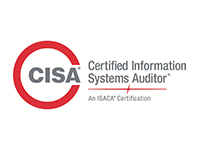 Only the largest businesses must go through a formal PCI DSS QSA Assessment; the vast majority can self-attest to their PCI compliance. Working through the process can be complex, though. Like someone taking you by the hand and leading you through a dark forest, the ControlScan PCI 1-2-3 program will expertly guide your business through each of the PCI DSS requirements. PCI DSS compliance is an ongoing process and can prove to be overwhelming for many small business owners. 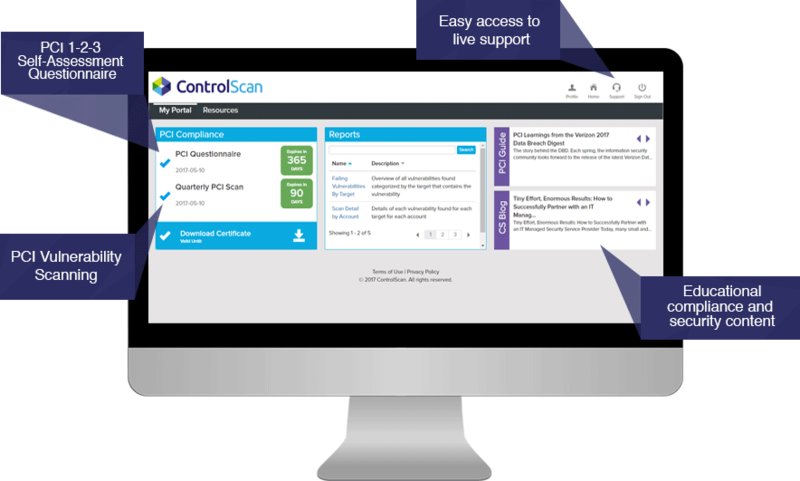 PCI 1-2-3 Self-Assessment from ControlScan helps cut through the complexity of achieving PCI DSS compliance and allows you to easily analyze and validate compliance. In addition, our team of experts is available to provide step-by-step assistance for any PCI questions you may have. 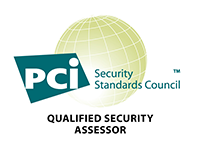 PCI 1-2-3 is available online via a communication portal called myControlScan.com. The portal provides you with anytime access to real-time PCI DSS compliance and security details and all the right tools to make it easy for you to analyze and validate PCI compliance. A faster SAQ completion and revalidation process, saving time and eliminating frustration. "As a small business, it is very reassuring that security professionals are doing what they promise to do." The ControlScan PCI 1-2-3 program will expertly guide your business through each of the PCI DSS requirements. 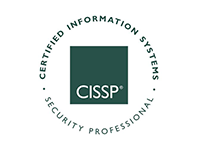 Offers peace of mind and provides valuable information on breach prevention strategies. Reimburses any expenses that you are contractually obligated to pay as a result of a breach incident. These include mandatory forensic audit, credit card replacement costs, and related expenses, assessments and fines levied by card associations. A data breach can be either a system/network breach, the physical theft of the credit card data from stolen receipts, stolen computers, skimming or even employee theft. Learn more.